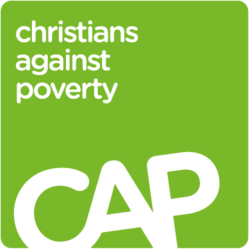 Centenary Baptist Church is the office for the Fenland Centre for CAP – Christians Against Poverty. You don't need to be a Christian to get help from CAP - the free service is available to help anyone who needs help with debt, whatever their beliefs and background. Christians Against Poverty is an award winning, national debt counselling charity offering free help and advice through a network of debt centres based in the local church. CAP offers hope and a solution to people in debt through its top quality, in-depth service, as well as helping people find employment through CAP Job Clubs, releasing people from addictions through CAP Release Groups, teaching people how to live well on a budget through CAP Life Skills, and providing financial education through the CAP Money Course. Call 0800 328 0006 to book an appointment with your local debt centre or job club, or visit capuk.org to find out more about our services. CAP Fenland currently run the Debt Help Centre and CAP Money Budgeting course. CAP QUIZ NIGHT 8th May 7.30 p.m. Come on your own or bring a team. £3 per person. There will be a small auction of new items. Refreshments available.